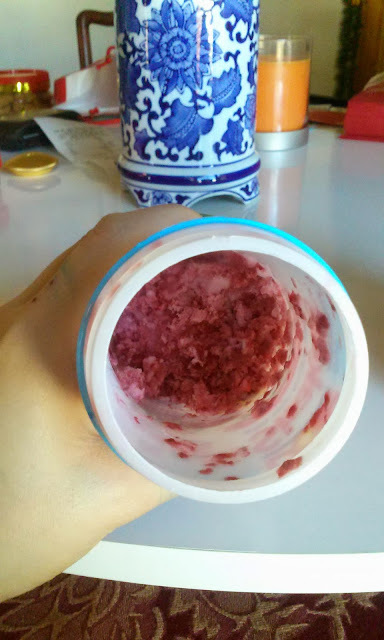 The inside is filled only about 1/3 of the way with the product. The rest of the room is to add your favorite juice. 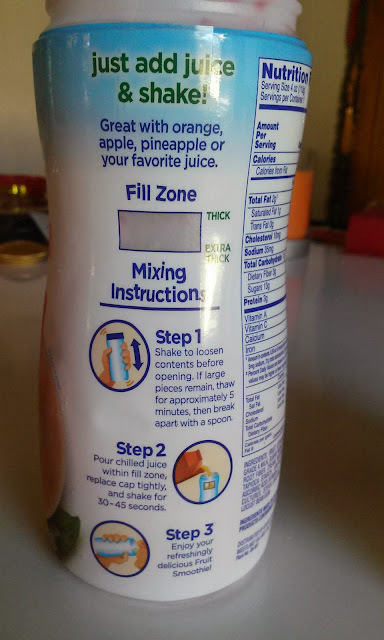 Make sure to shake the contents in the bottle first to loosen it up before adding your juice. 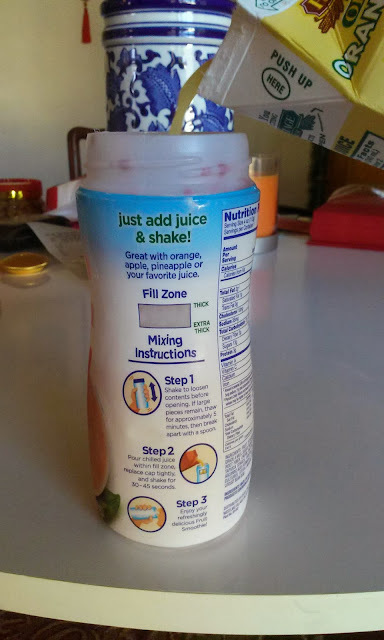 Then choose how much juice you want and pour it in! Close the cap and shake it vigorously and you're done! No blending needed. 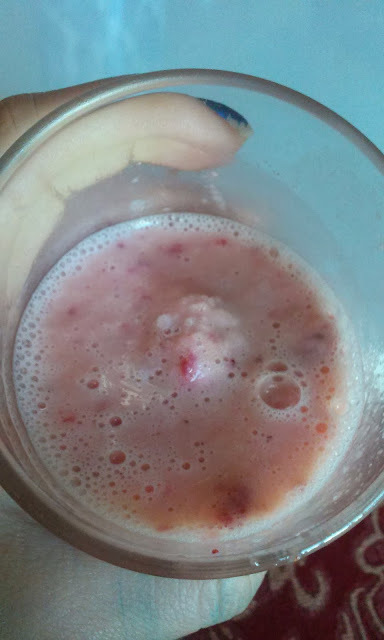 As you can see, after shaking the shake, the chunks of fruit are present and your smoothie is all done. 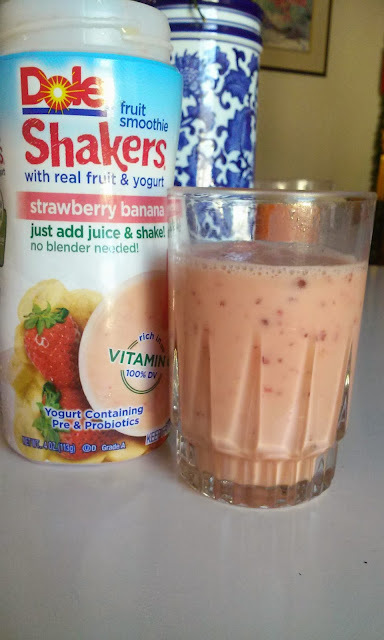 I love the idea and concept of this, especially when you want a smoothie but are too lazy to take out the blender and all ingredients out to make it. 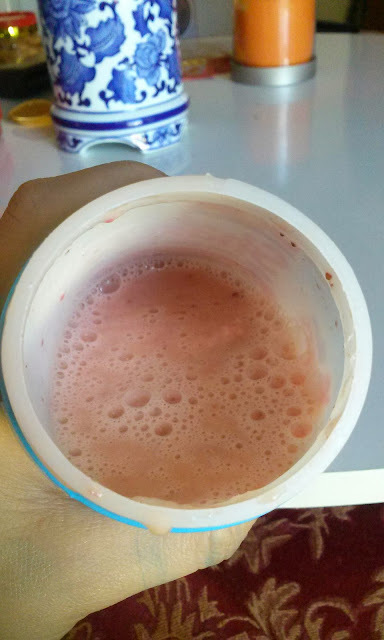 This is simple and easy and you can control the juice you put in it (watching sugar content and such). It may not be organic or the healthiest, but as a quick alternative it isn't too bad. My favorite flavor is the Peach Mango one and I highly suggest you checking these out! I found mines at Target for $1.52 and I had a coupon to use so only paid about $1.00 for it! 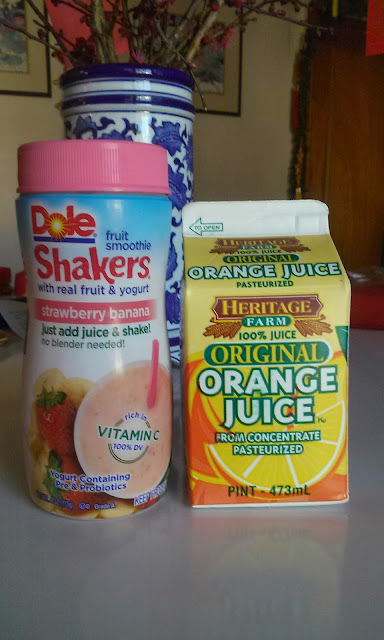 Have you seen these Dole shakers before? What is your favorite flavor? ?